If you recognise that line from Star Trek, you can't have failed to notice that over the last twenty years, science fiction has rapidly converged with real life. Recently, however, Google’s Duplex personal assistant demonstrated a convincingly human demeanour that on the surface seems to have passed a milestone: the Turing Test, a way of measuring whether a computer is capable of demonstrating intelligent behaviour equivalent to or indistinguishable from that of a human. Now clearly there is more to Artificial Intelligence (AI) than human-like behaviour. In the case of Duplex, the tasks it completed were basic phone calls to book appointments. There is justified concern over whether AI could really replace a human in more complex settings, for instance identifying patient symptoms. Google is taking all this very seriously. they’ve just announced that Dr David Feinberg, a pragmatic revolutionary with a reputation for getting on the ground to turn around flagging hospitals, will be heading up their Health team, reporting to their head of AI. Feinberg would understand that the point of these digital enhancements isn’t to create zombie doctors to merely clone humans. The beauty and power of computers lies in their ability to process vast amounts of data in a very un-humanlike way. It’s in the intersection of the respective strengths of human and machine that massive leaps forward are being made; machine learning is already making a huge difference to lives all over the world. So what is machine learning, and how is it benefitting healthcare? If AI is how we make machines intelligent, then machine learning is the science of getting computers to act without being explicitly programmed — basically to learn from experience. “The way I think of it is: AI is the science and machine learning is the algorithms that make the machines smarter…So the enabler for AI is machine learning,” explains Intel’s Nidhi Chappell. Research in this field reflects forecasts of massive growth: a 2017 report estimated the AI healthcare market to be worth almost $8 billion by 2022. Intel, Google and Microsoft have all put their vast resources behind it, each with a different focus, and they are joined by hundreds of startups and diversifying businesses, as well as academic institutions and non-profits. “I see this possibility of precision health, where people are the most fundamental thing in the Internet of Things,” said Peter Lee, head of Microsoft’s NExT program. “When we’re looking 10 years out, that sort of precision in diagnosis and treatment, I think, can be incredibly powerful.” Microsoft are currently partnering with Adaptive Biotech to create an AI-driven blood test to screen for dozens of diseases at once, by decoding information in the immune system. In the UK, there have already been impressive results from using machine learning algorithms on existing digital patient data, for instance to successfully predict cardiovascular disease — in this case using anonymised data from almost 400,000 individuals which stretches back to 2005. 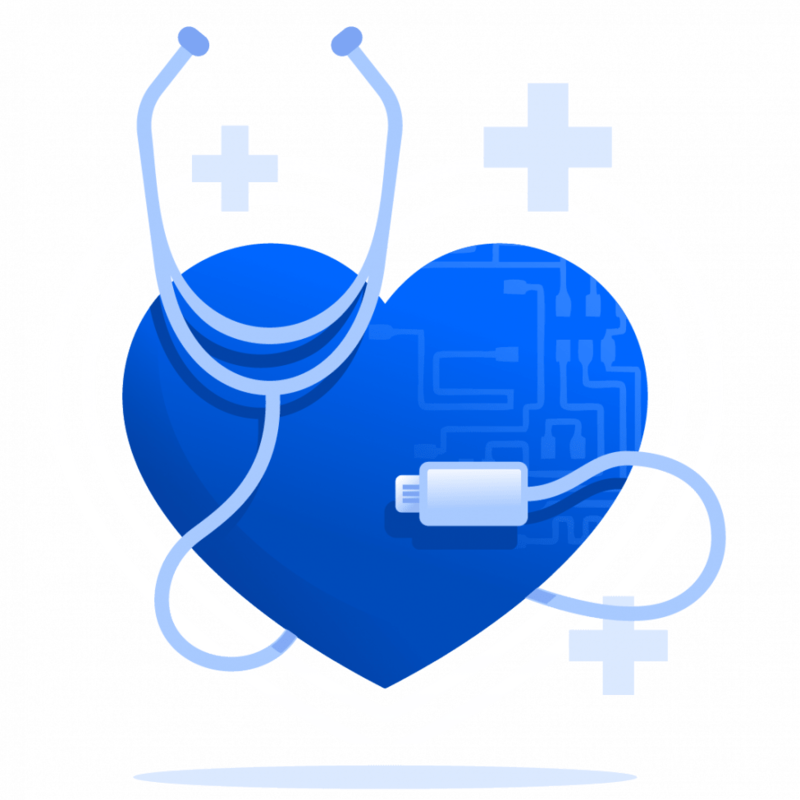 Indeed, one of the exciting things about using machine learning in healthcare is how much more useful information can be extracted from existing medical data. There are challenges stemming from how to manage this data: its security, anonymity and joined-upness, but if a machine is to learn, these challenges and risks will need to be managed well. said Stephen Cave, executive director of the Leverhulme Centre for the Future of Intelligence. IBM’s Watson project uses intelligent data mining to search and extract relevant information from existing medical research, an otherwise sisyphean task for a busy human. Computers can analyse multi-gigabit scans quickly, and Google reports that its teams have successfully trained computers to identify metastatic breast cancer at rates higher than senior pathologists, saving thousands of hours of legwork. This type of clinical decision support has applications not just in rich Western countries, but in developing nations too. In Liberia, where preventable diseases like malaria, pneumonia and diarrhoea are still the biggest killers, and where a trip to the doctor might involve a 100 mile walk, Last Mile Health are using an innovative method to deliver primary care. Backed by a stipend from the prestigious Skoll Foundation, the organisation has been training community health workers to fill in the gaps left by civil war and a severe shortage of doctors. Armed with Last Mile’s mHealth platform running on Android, a solar charger and backpack full of medicine and basic diagnostic equipment, these health workers can accurately diagnose and treat common illnesses, monitor maternal and child health and spot outbreaks of infectious diseases like ebola. The app works to provide accurate assisted diagnoses even offline, and the health workers are able to upload all their data on their return to base. This approach increases the odds of kids receiving life-saving care by more than 50% and the proportion of mothers birthing in clinics to 82%. Closer to home, the NHS has partnered with AI GP app Babylon Health to roll out its 24 hour GP at hand service to Londoners. Instead of queueing at a surgery, registered users can in theory discuss symptoms via an intelligent chatbot and if need be, go on to make an online appointment with a doctor, who can then dispense prescription medicines or make referrals. Although there have been justified concerns about the ability of Babylon to correctly triage patients, there’s no doubt that not only will this type of app become more and more popular, it will also by its very nature improve, as the underlying algorithms gain data points and (critically) interface with the humans who interpret and improve them. It is this symbiotic layering of machine and human that has the potential to revolutionise the way we access healthcare, with massive implications for the elderly, immobile and isolated, and huge cost savings for our overstretched health systems. But for progress to continue, the race to AI in healthcare needs to take into account not just the mind-boggling capabilities of machines, but the best of our very human qualities too: listening, empathy, judgement and morality.